This month we shared a post about our project Education for Sustainability, an ambitious project that we will try to implement in 30+ countries. To find the list of countries, simply go to our "About us" page. Together with approaching relevant entities and governmental institutions in each country, we will try to present each country from a perspective aligned with this project. (NB for all of you up to further reading and learning - we will share links and/or hyperlink things we consider significant or worth introducing. Nestled in between Greece, Macedonia, Kosovo, and Montenegro, and across the Adriatic from Italy, Albania boasts blue and turquoise seas, beautiful beaches, snow peaked mountains, rivers, lakes, and forests. Albanian history and culture is fascinating. Butrint, one of the world's archeological wonders - and a UNESCO World Heritage site - in the south of Albania provides a glimpse of Mediterranean civilization from the Bronze Age through the Greek, Roman, Byzantine, Venetian and Ottoman periods. Home of both Mother Theresa and the great 15th Century hero Skanderbeg, Albania today is quickly evolving in a myriad of directions. During the communist regime in Albania (as was the case with other Eastern / South East European countries under communist regime), the status of the environment was not a government priority. Albanian government at that time tried to lead Albania towards building a heavy industry relying mostly on Soviet and Chinese technology. 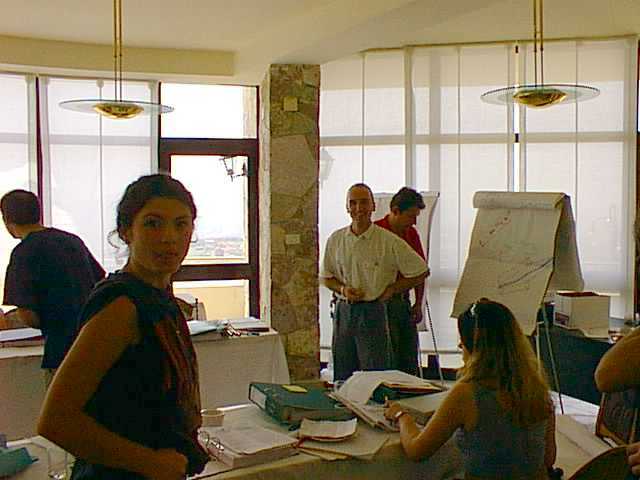 Consequently, it did not fulfill any environmental protection standards and the result of heavy industry in Albania was air pollution, water pollution, soil contamination, extermination of the flora and fauna near the factories, and direct impact on the health of the populations living near the factories, who were affected by respiratory diseases as well as birth defects. The fall of the communist regime (in 1990) initiated the shutting of the old factories, thus leaving derelict buildings and tons of poisonous substances in warehouses. The post-communist period witnessed an increase in air, water, and soil pollution, this time caused mainly by second-hand cars (the ban on car ownership was lifted after the fall communism in Albania). There has also been an increase in consumption and, as a result, more waste, more irresponsible individuals and businesses that illegally dumped waste on fields, forests, rivers, sea and waterways. Finally, noise pollution has increased considerably in the post-communist Albania. The weak implementation of environmental protection laws and the lack of control over them has paved the way for air, water and soil pollution in Albania. Littering and dumping trash everywhere remains a serious problem, even nowadays. Parks and forests are often full of illegally dumped trash. There is an old tradition in villages to dump trash in rivers or streams. This has resulted in the contamination of rivers, lakes and the sea. Trash in the water is not just esthetically disturbing, but also gives rise to harmful and dangerous bacteria and algae. The process of trash decay produces a lot of methane, which is deadly for fish and other water creatures, and a greenhouse gas 20 times more powerful than CO2. Burning of trash has contributed to the air pollution besides the pollution from old cars imported after the fall of communism. 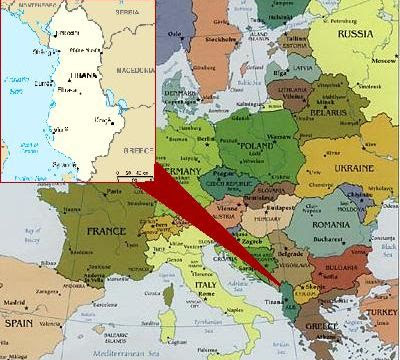 Albania is one of the last countries in Europe to allow benzene in gasoline to be sold in the market. This product is a dangerous chemical for the human health. Deforestation remains Albania's principal environmental problem, despite government afforestation programs. Forest and woodland account for 38% of the country's land use. Soil erosion is also a cause for concern, as is pollution of the water by industrial and domestic effluents. While Albania has a comparatively small amount of renewable water resources at 26.7 cu km, 99% of its urban population and 95% of its rural population have access to pure water. 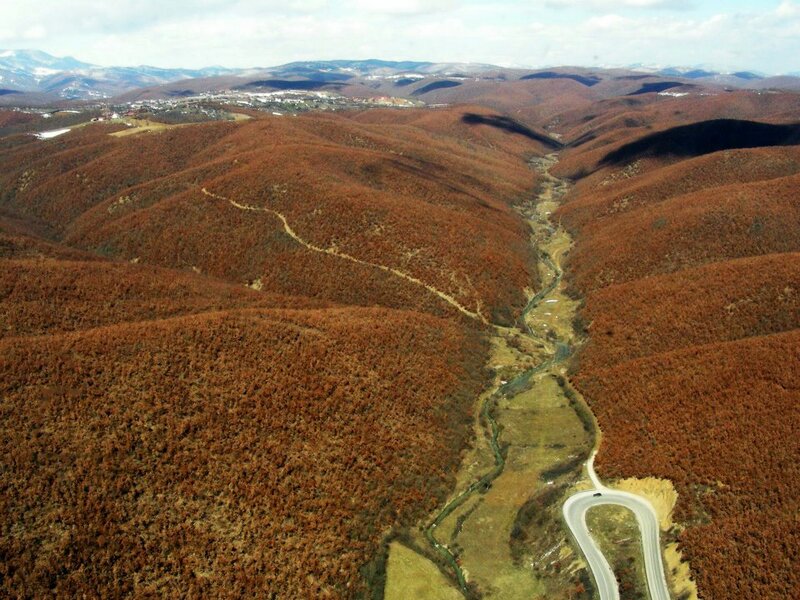 A total of 2.9% of Albania's lands amounting to 84 ha is protected by environmental laws. As of 2001, 17 of the 3,000-plus plant species in Albania were endangered. Two mammal species and seven bird species were also threatened. Endangered species include the Atlantic sturgeon, Mediterranean monk seal, and the Hawksbill turtle. Climate change in Albania is expected to result in temperature increases and precipitation decreases, resulting in milder winters, warmer springs, hotter and drier summers and drier autumns. It is expected that this will lead to more frequent and severe droughts, and heat waves along with an increased risk of fires. A rising sea level will lead to salinization of coastal areas. According to the OECD there are 16 environmental taxes in Albania, where seven of them are regarding vehicles and fuel, three are regarding water, three are regarding waste, while the remaining ones refer to the use of resources. Albania has in place a National Environmental Action Plan that takes into the account the need to integrate environment into other sectors. For example, it envisages the development of a strategy and action plan for the development of sustainable transport, a sustainable and integrated rural strategy, a strategy for sustainable tourism, and a strategy and action plan for land protection against erosion. The Government has also decided to prepare local environmental action plans that will provide for environmental assessment at the local level, the identification of priorities, the establishment of training programmes and the development of partnerships with NGOs. Other sector specific strategies include: the National Waste Management Plan, the National Water Strategy, the Coastal Zone Management Plan, the National Environmental Health Action Plan, the National Biodiversity Strategy and Action Plan, the Strategy on Growth and Poverty Reduction, which is the country’s first comprehensive economic development strategy with a focus on sustainable development. In the Albanian context, where decentralization has started to move ahead, citizens have high expectations of the local government, yet they lack awareness of what are the roles and responsibilities of that same local government. The local government is often held responsible for the poor quality of many public services, as well as for the criteria for budget allocation (that often happens ad hoc). There is shortage of funds and political negotiations often influence their distribution. Furthermore, lack of knowledge of the local governments staff in engaging citizens in governance, civic passiveness and fragile local institutions have substantially contributed to citizens’ mistrust and cynicism. Citizen mistrust resulted in poor payment of tax, creating a vicious cycle. There is a strong need for a systematic approach to encourage civic engagement in the governance process, helping to build trust, improve local service delivery and tax compliance while aligning policy formulation to people’s needs and aspirations. To address these governance challenges, the World Bank supported pilot activities aimed at building a demand side for better government and strengthening city participation in the governance process in Albania. Generally, Albanian citizens display high levels of “indifference” towards involvement in various social actions, which is a common feature of societies in transition or early stages of post-transition with a relatively unsettled middle class and high levels of inequities. Albanian citizens are more likely to spend time sporadically with people in social activities than in being active members of social organisations. They are also less likely to dedicate time to voluntary work. This may be a consequence of the high percentage of the respondents describing themselves as “lower middle class” or lower. It may also be linked to the continuing prevailing perception that “volunteerism” is a phenomenon of the communist dictatorship. Civic engagement in Albania displays serious concerns over a limited breadth and depth of social and political engagement despite the high degree of diversity within such a limited engagement. While indifference and even “apathy” towards civil society actions and activism in general has significantly impacted socially-based engagement, citizens appear slightly more active and committed when it comes to politically-based engagement. For a majority of citizens the main motivation to engage in civil society actions are “shared values” and “trust in organizers”, as opposed to almost 1/3 of them whose motivation is derived from personal interest. However, change will not come solely from actions oriented towards changing individual’s mindsets; their confidence in elected institutions and more generally their trust in a governance system that can function without any interference from political shortcuts must be gradually increased. Civic engagement will become attractive for citizens within the space that their economic status allows for. In an ideal situation, this will be reflected in diametrically reverse trends than the current prevailing ones, with the majority of citizens showing greater readiness to get involved in various social action.